POST NOTE: Since writing this article, and all the interest it has generated, I created a Facebook group for us to discuss and share ideas on this new idea. Come join us! 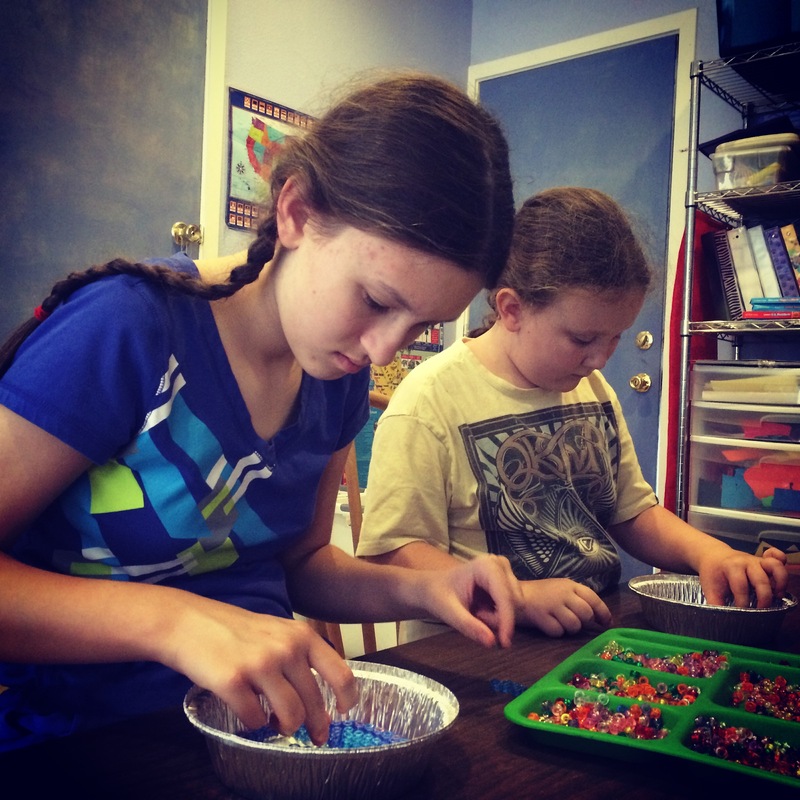 : Homeschooling with Experience-Based Learning! 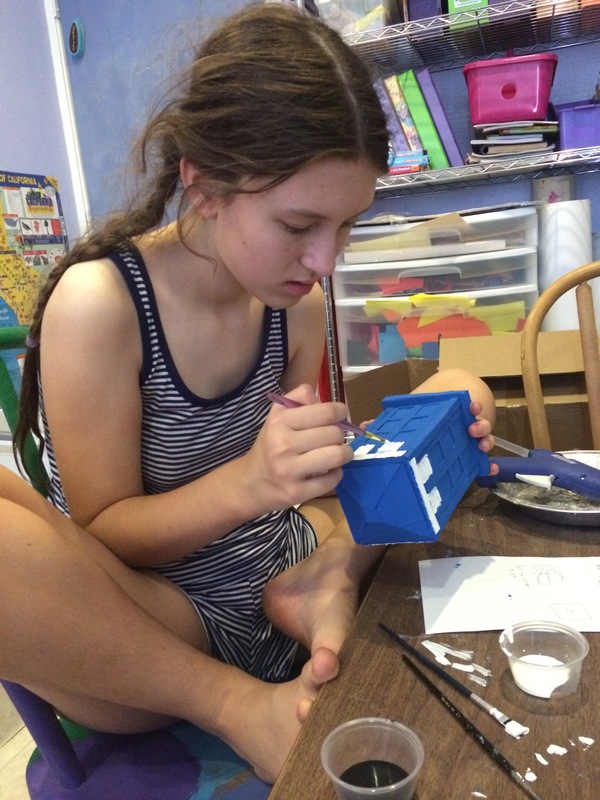 We’ve made it through the first month of my new homeschool system, and things are still going well!! So I thought it was probably time for me to detail it more, since I’ve had so many people interested in learning more about it. I go into a lot of the details of where this idea came from in the article linked above, so I won’t go too deeply into that in this post. But the biggest idea that you need to know from that article is that I created a system that is “Experience-based Learning” instead of “Subject-based Learning”. 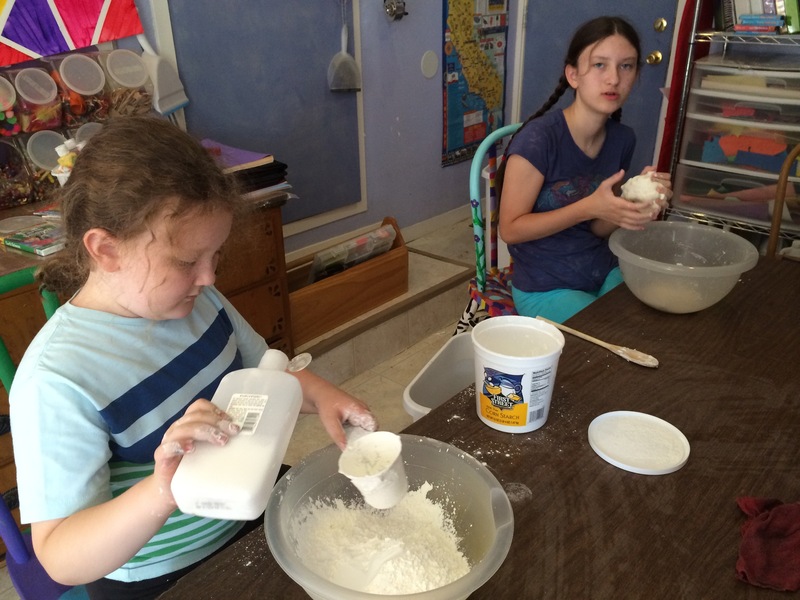 Instead of basing my kids’ education on school subjects (social studies, math, science, language arts) … I base my kids’ learning on the EXPERIENCES I want them to have. To me, their experiences are far more important than the subjects they are studying. 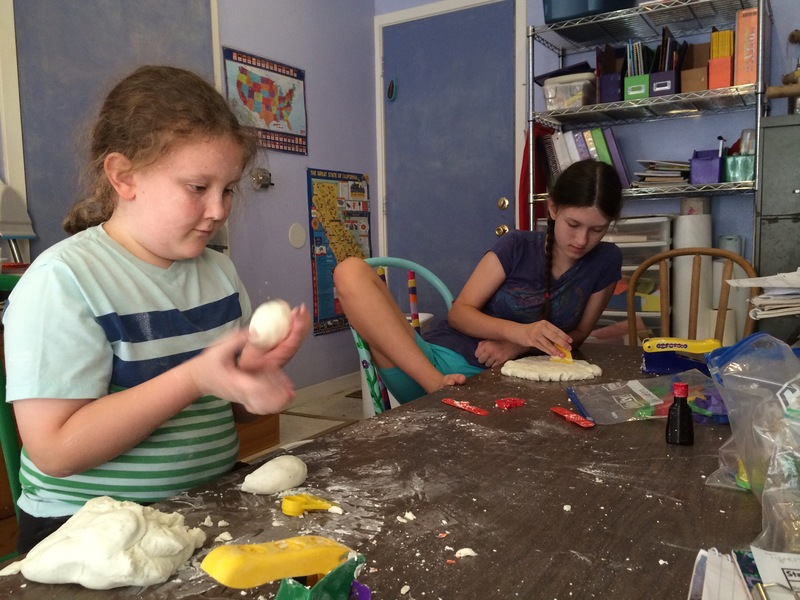 For example, I want them to watch excellent education programming, read good books, create neat projects, etc etc…I want them to have these experiences FAR more than I want them to learn science, history, language arts, etc. Those subjects are WITHIN the experiences because I still believe they are important, I just don’t base everything around them as they do in traditional education. Listen to something (carefully chosen books I read aloud, audiobooks, and educational podcasts)–I’ve added music from the time periods and parts of the world we are studying to this station now too! Math (We use Usborne Encyclopedia of World History and asked them which time period they would like to start the new school year with. 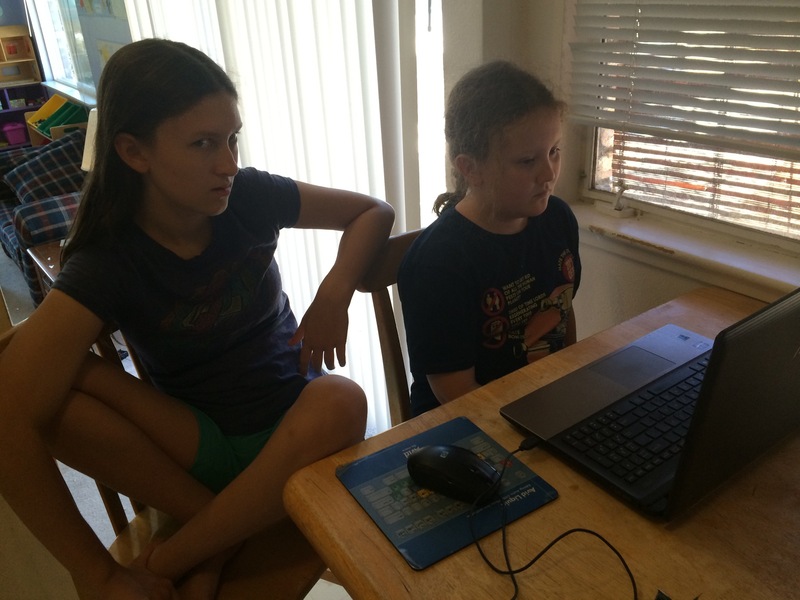 They decided on prehistoric times, so I try to find prehistoric videos, books, podcasts and projects as much as possible. In this way, I guess we’re sort of doing a unit study on prehistory. 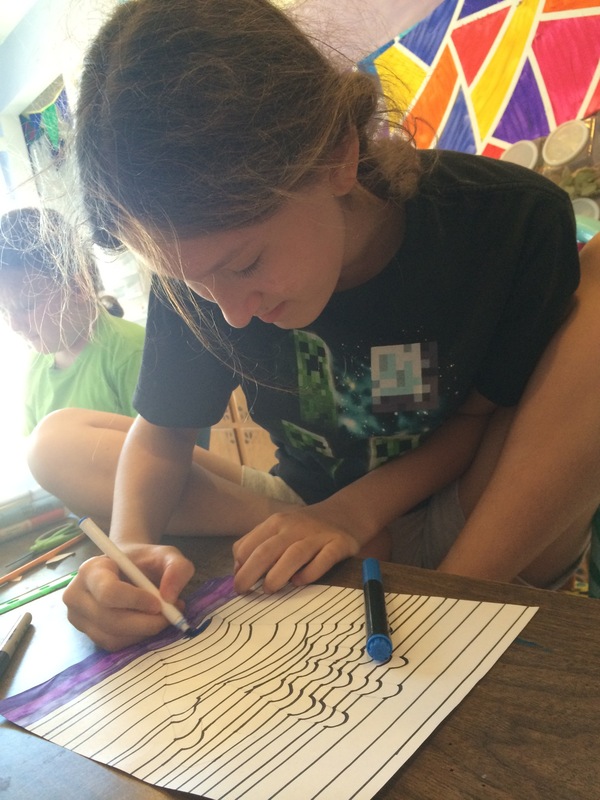 Sticking with the time period (as much as possible) helps narrow down the options for the stations, and can be a lot of fun! 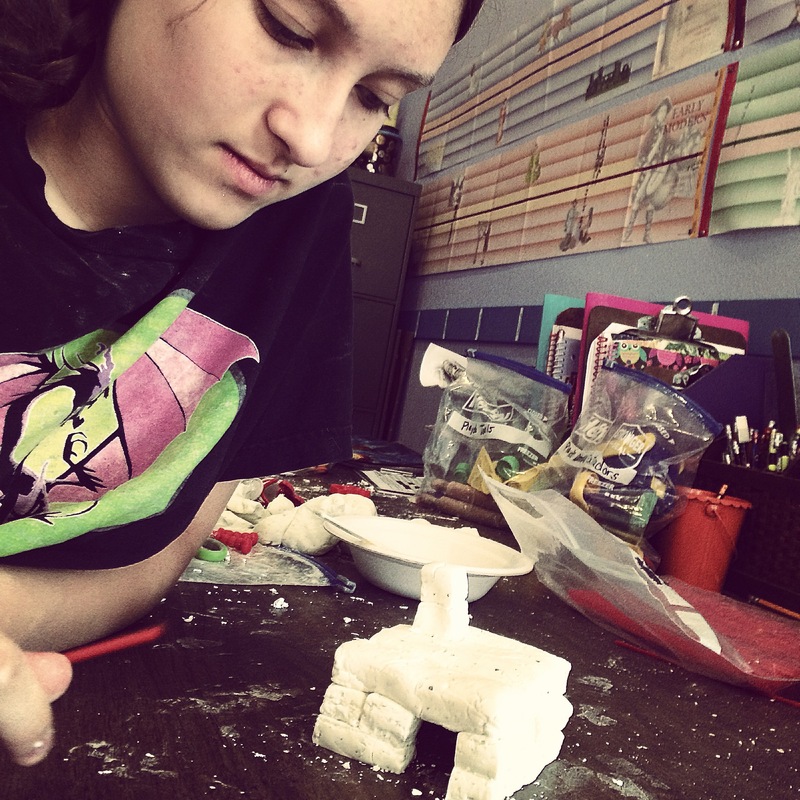 I also plan just random projects that are on topics that interest us as well. Mostly what catches my eye or my kids have expressed an interest in. 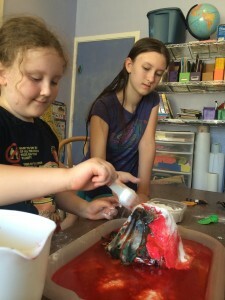 The classic baking soda and vinegar volcano…plus pop rocks! 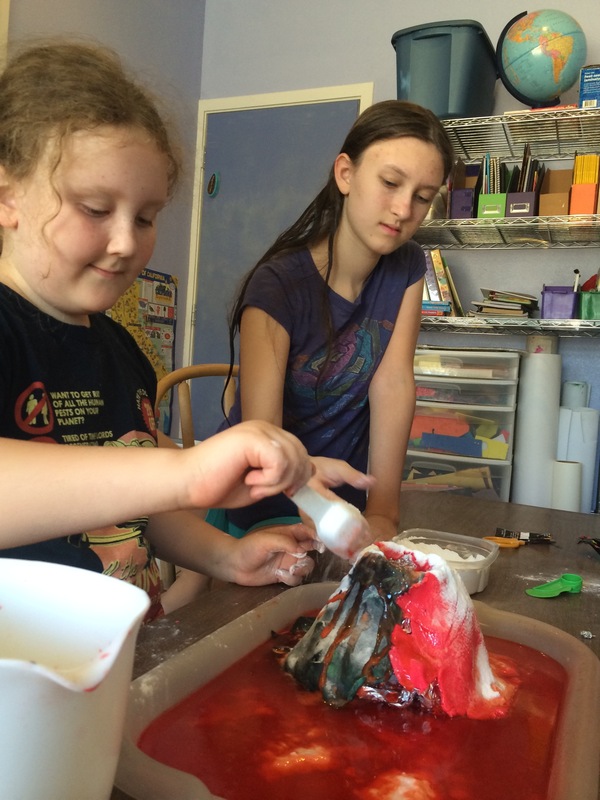 For prehistoric times we are doing “create” projects about volcanoes and plate tectonics and cave paintings. 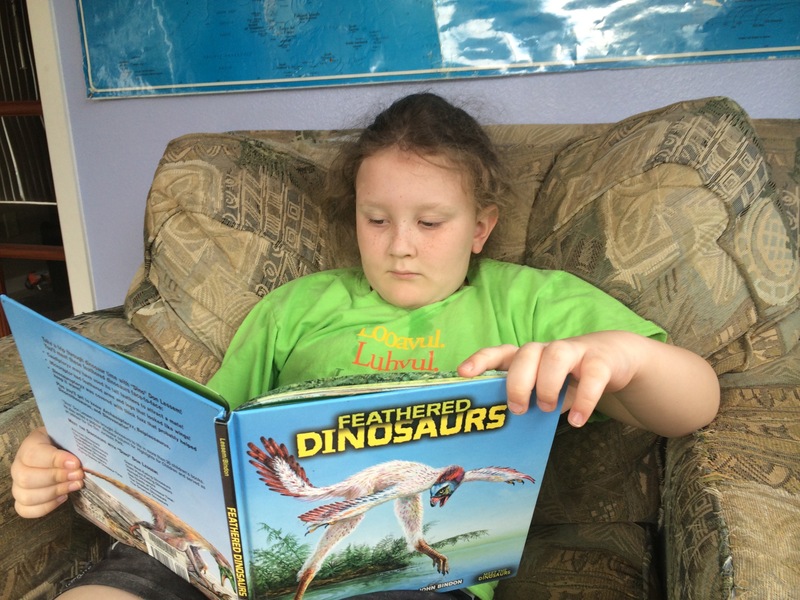 For “read” and “watch” I’m finding books and videos about prehistoric times, volcanoes, plate tectonics, evolution, creation stories from around the world, and prehistoric life. For “listen” I read to them from some of the library books we’ve found at the library and I’ve even found some podcasts about prehistoric topics! 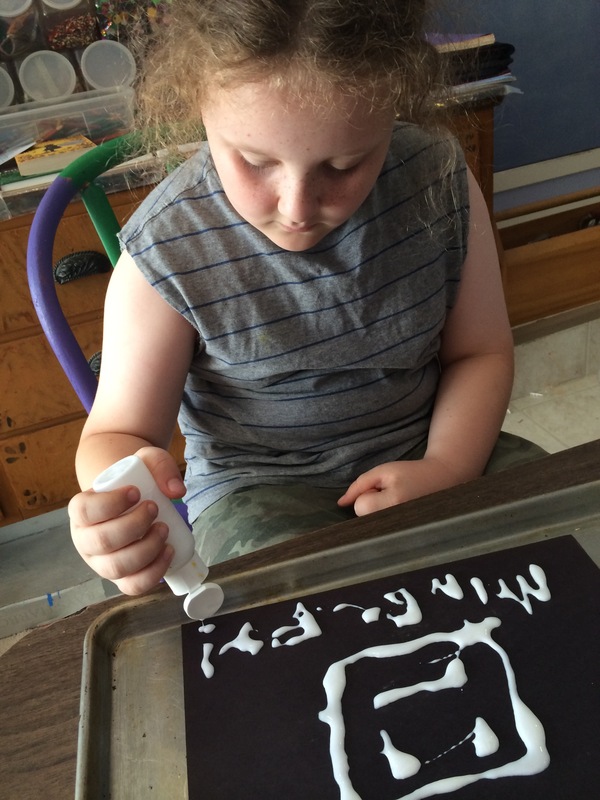 I let the kids decide when they want to do what stations, and then at the stations they have further choices of what specific activities they can do. 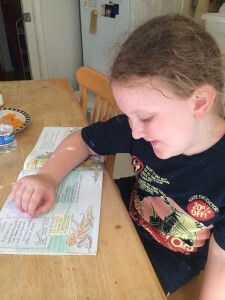 CHOICE has made such a difference to my kids learning experience. There are a total of 7 possible stations, and I have them rotating through 5 daily. Now, what do the stations LOOK like?? 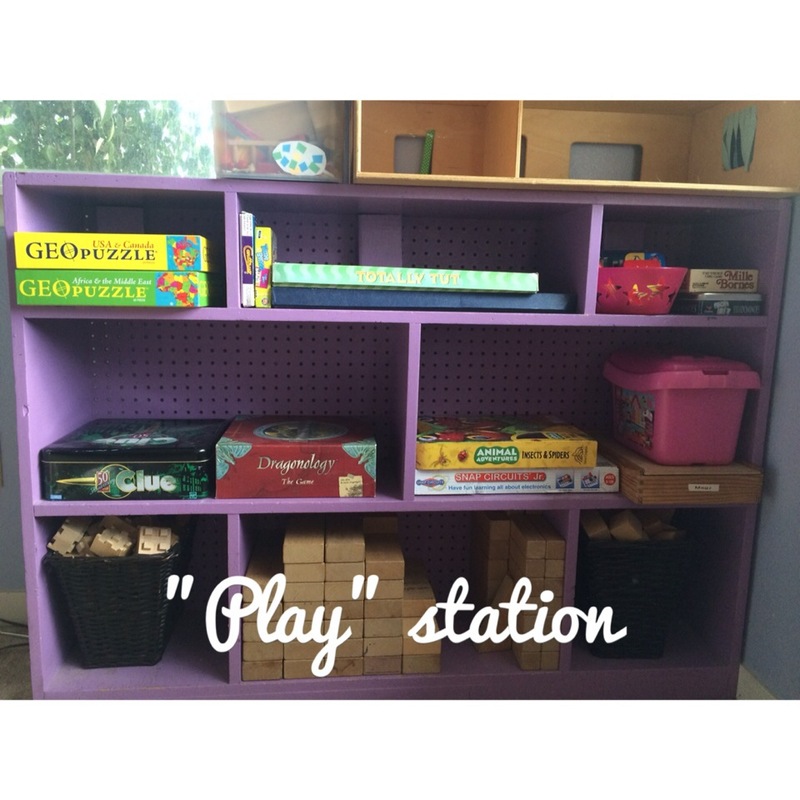 The “Play” station is typically the station we start our school day with. For obvious reasons, it’s the most fun! Great way to get our day started, and we all usually play a game together, forcing me to get myself involved in playing with the kids…which is one of my main reasons for making this a station. 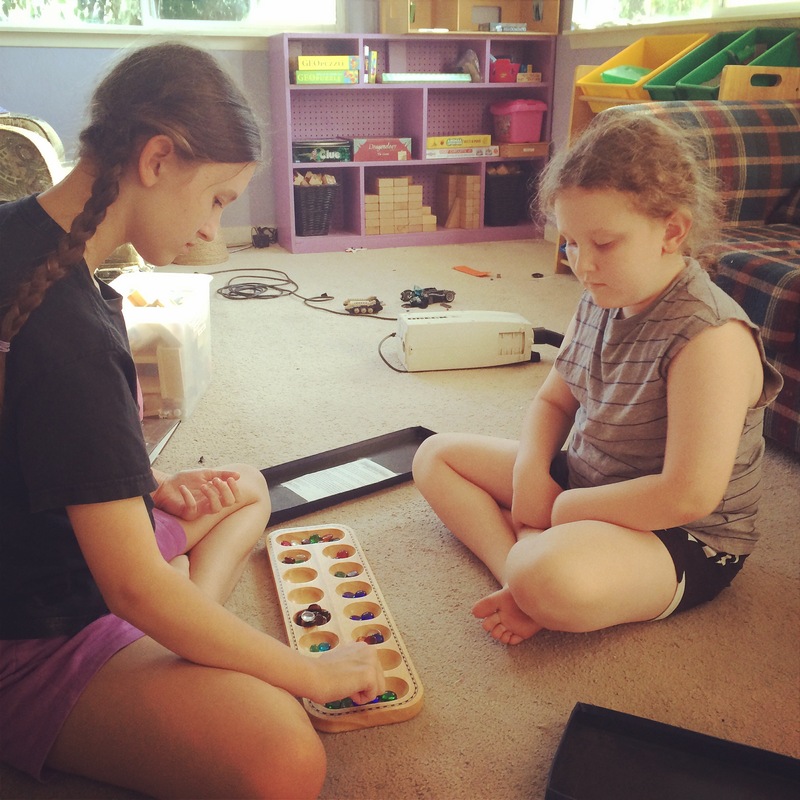 I think games are a fabulous way to learn, but also a fabulous way to bond and make memories. And since I seem to not be prone to wanting to play games….but yet I WANT to want to play games…I just made it a regular part of our day and it’s finally happening! 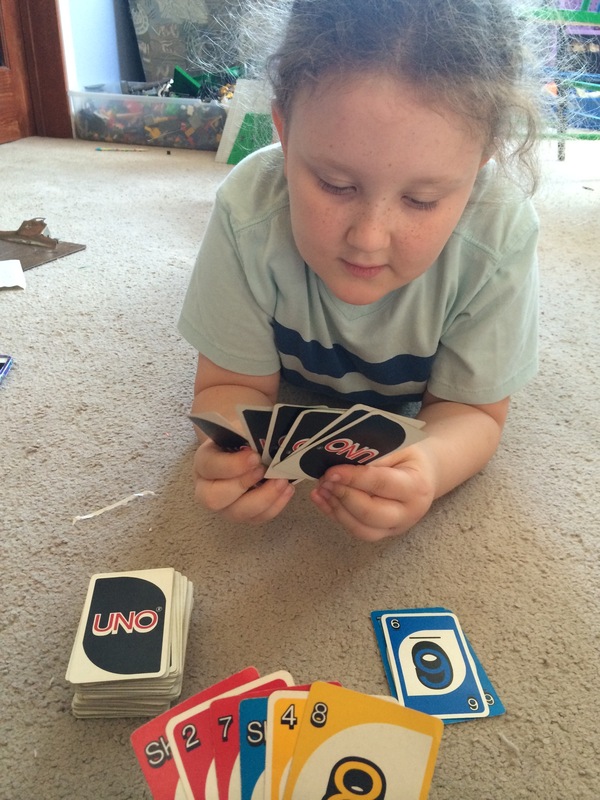 I try to have primarily educational games at this station, but there are many just regular card (Uno) and board (Clue) games that are fun and still have their own element of education to them without being overtly teaching games. 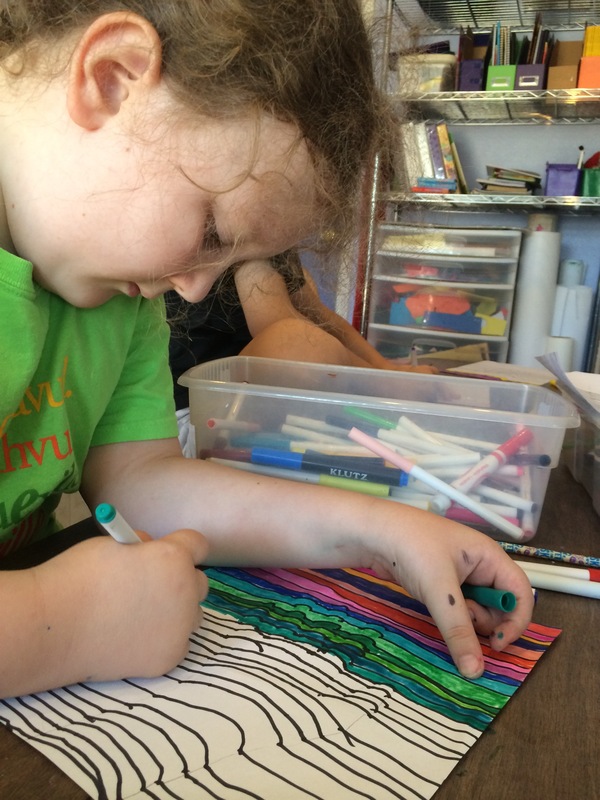 I provide a variety of options so the kids get to go with what they are drawn to on any given day. This also gives those games that have been sitting in the games closet for years a chance to see the light of day and actually get some use! 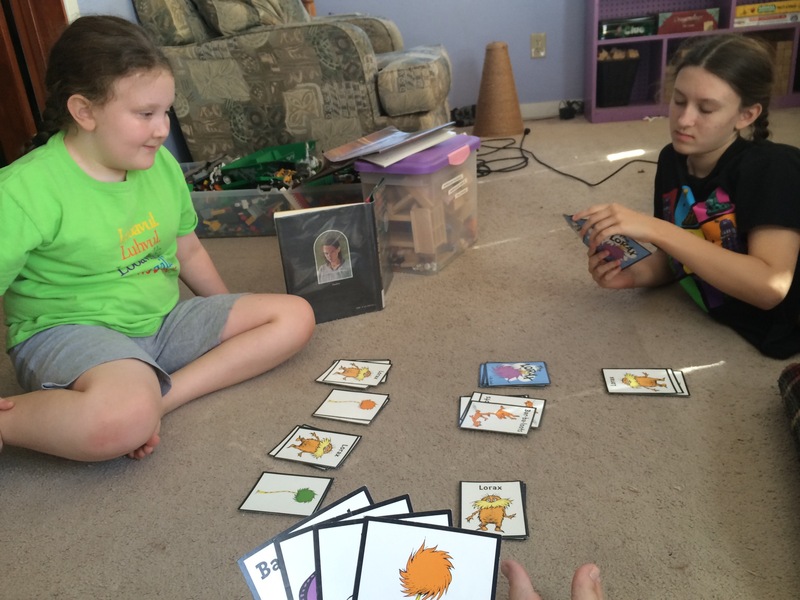 We are lucky because we have access to more games in our homeschool charter library…but I’m also thinking of putting out a call for sharing of games, to see what games are on other people’s shelves that they’d be ok with sharing, and we can share with them. One round of a game fulfills the daily requirement for this station. That can be quick or last upwards of an hour or more! Depends on the game and our mood…we’ll keep going if that’s what they want to do! 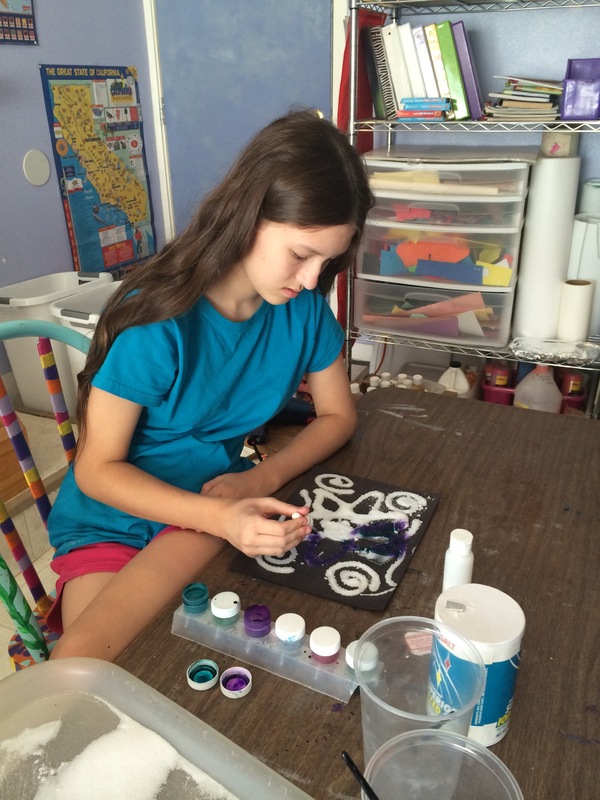 The “Create” station is often the second station that we do each day…if one or both of my kids didn’t start their own creative project already. 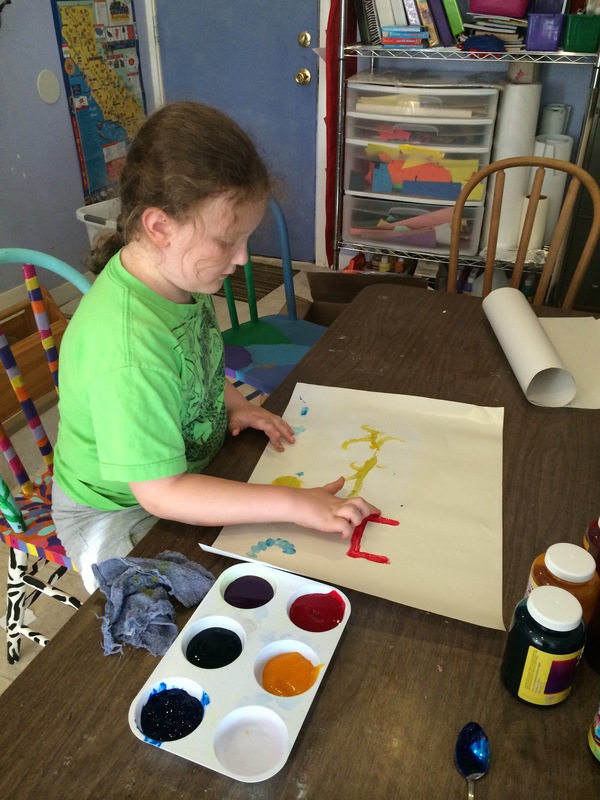 Fingerpainting is not just for little kids! Post it notes make it easy to swap out the activity options each week. With 2 units/5 drawers in each of varying sizes, I can have a wide variety of options for the kids to choose from and not have to constantly be refilling the drawers. I try to fit everything needed for each activity within one drawer. Occasionally I have to put big things (like a mixing bowl or a tray) next to the unit. I also print up an instruction sheet or write instructions on an index card, and put that on top so when they open the drawer the instructions are the first thing they see. If there’s something needed next to the unit, I will write on the sheet where to find it. I don’t require them to do all activities within this station. 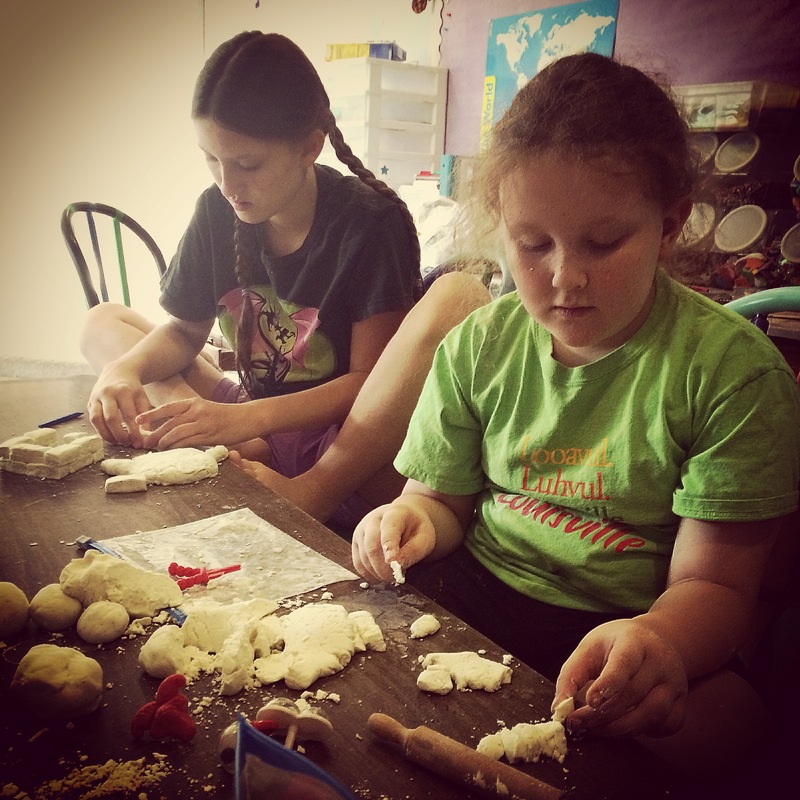 If I’m unsuccessful at getting them to do a particular activity, after about 2 weeks or so I just break it down and save it to try another time. 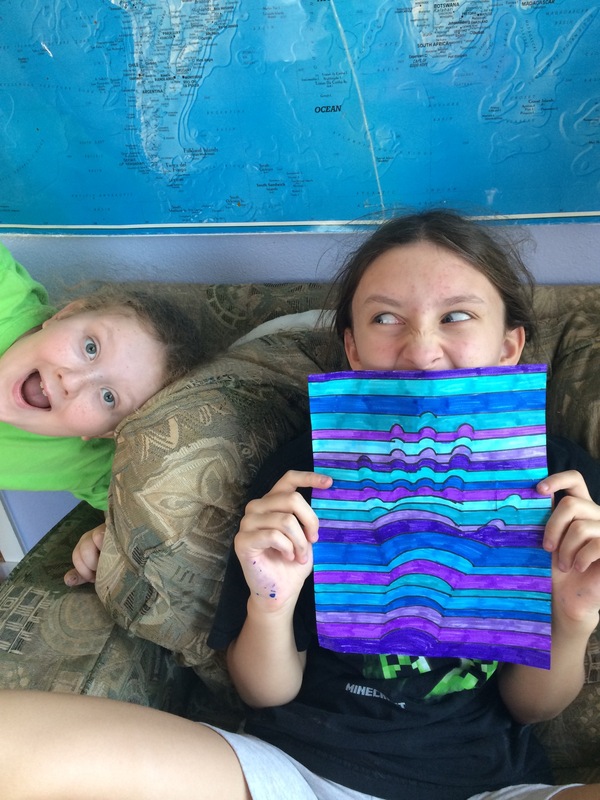 Not everything is successful and there are some projects one kid does and the other has no interest in. Since there are unlimited opportunities for cool activities out there, I try not to stress over the unpopular projects. However, if there’s one project that I really wanted to see done, I just do it myself! Usually, they end up joining me…but really, if it’s something I want to do, why shouldn’t I do it? LOL! 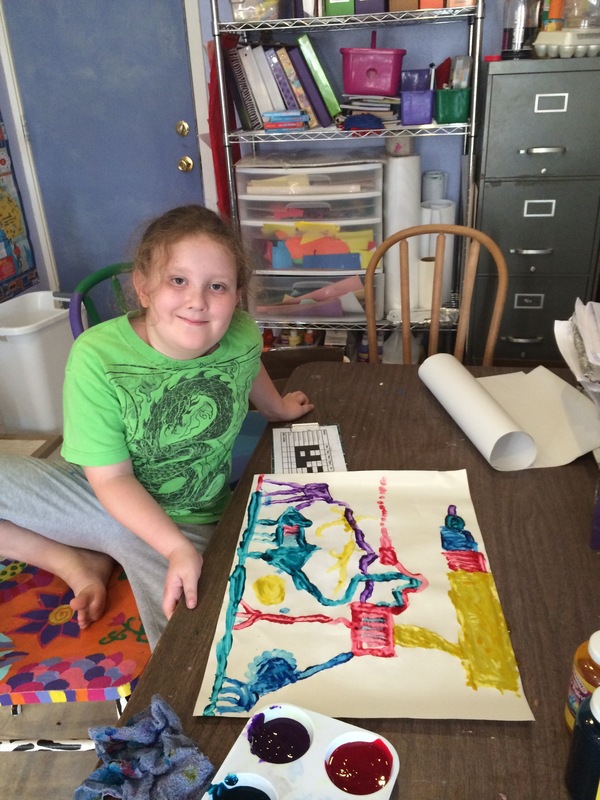 The funny thing is that often the kids just come up with their own creative projects…and I’m ok with that too! 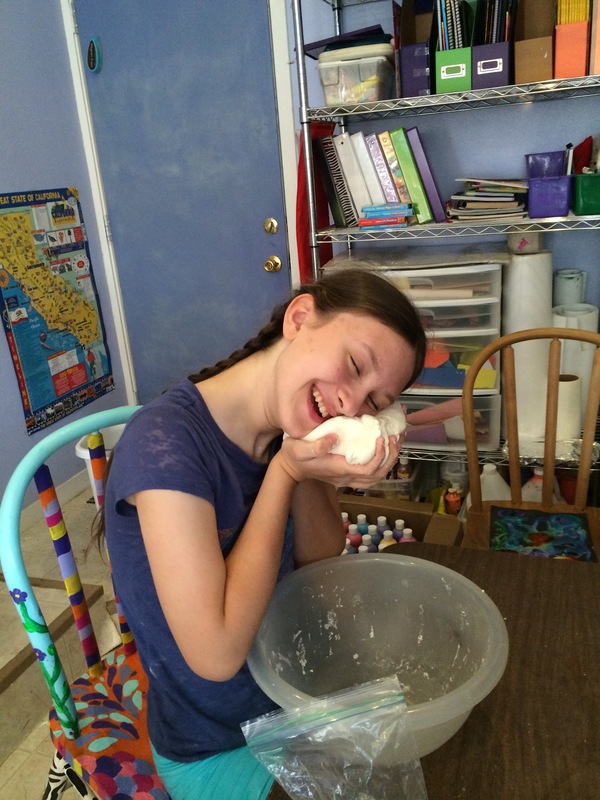 <strong>The point is that they are using the creative parts of their brain daily</strong>…if it’s something they pulled together themselves, that works! But this station allows me to start to finally do some of the way cool Pinterest projects that I’ve found over the years and always meant to do. 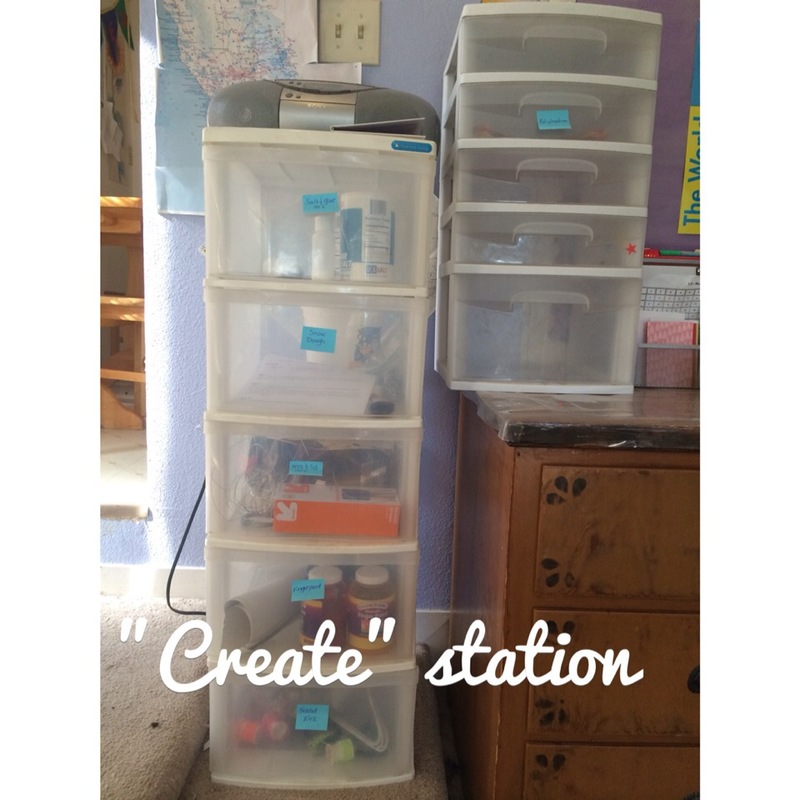 In fact, I use my Pinterest boards to organize my plans for this station! The “Watch” station can either be our main tv, or any of our computers. Often times they want to watch together on the big tv, and that’s fine. Sometimes one wants to watch alone on my laptop, and that works too. 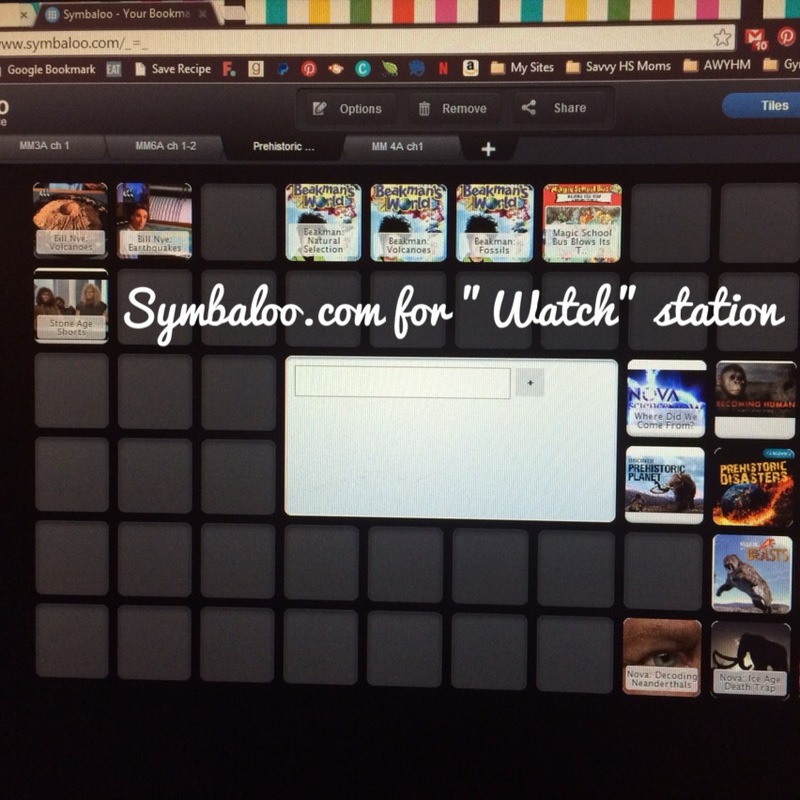 I have bookmarked a bunch of relevant videos for them on my Symbaloo account…As we move into new topics, I will create new webmixes, to enable me to make it easy for them to find videos on the time period and topics we are currently learning about. I use Symbaloo because I have videos on various sites (like Amazon and Netflix), so it’s easiest to just put all the bookmarks to everything in one place…But I also use YouTube playlists to group together the shorter YouTube videos, then link that playlist on the Symbaloo webmix, keeping everything all together in one place still. Typically I tell them that one Symbaloo link is the equivalent of one day’s watching. The exceptions are when I link to a series of an educational program, with multiple episodes. For those, I tell them just to watch one episode. So their viewing would be 30-60 minutes usually. Occasionally there is a longer movie. 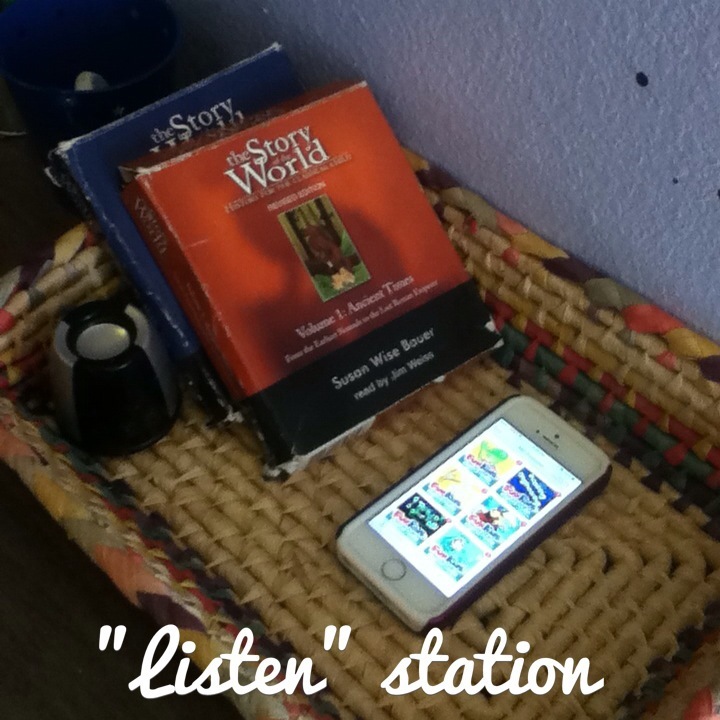 The “Listen” station is a little trickier, because my kids aren’t fond of audiobooks or podcasts, so far. And often the things I have for them as options are on my iPhone. So when we are listening to something on my phone together, I just plug in the little portable speaker that is shown in the basket in the pic above. I also give them the option to listen with earbuds, but usually neither of them are interested in that. More often than not, they prefer me to just read to them. This works great because they love listening to me and I love reading to them! In the case of my reading to them, I head over to the “Read” station and pick a book from there! (Or ask them to pick one.) Lately I’ve been reading from the books of short stories, since they almost never read those to themselves. Eventually I’d like to try to get them to read to each other for this station…at least occasionally. That may take some convincing, though. 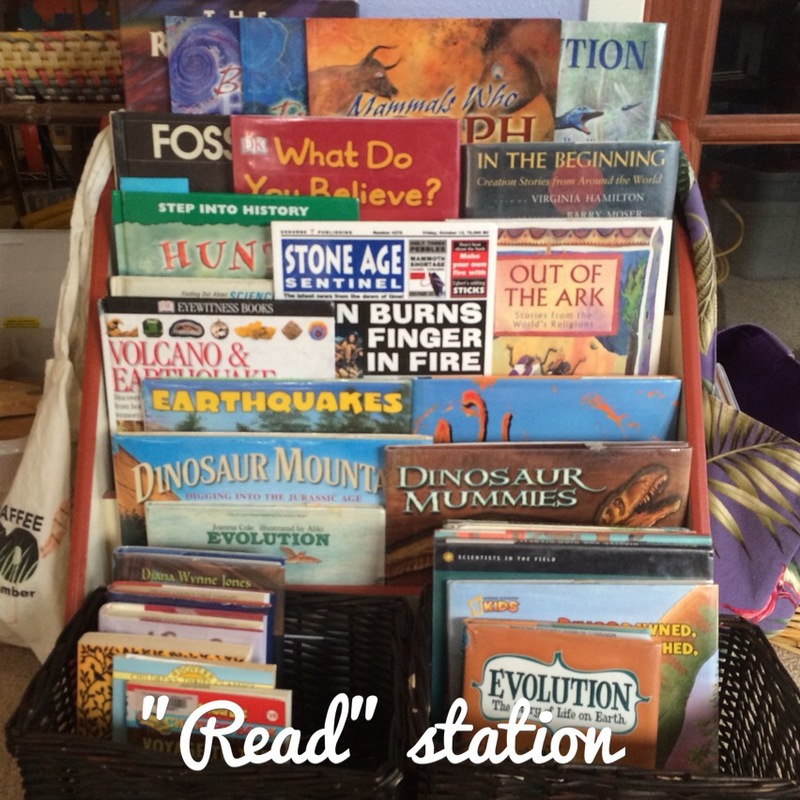 The “Read” station is one of those face-out book shelves you see at preschools (got mine from the preschool I used to work at), with some extra baskets. Face out works GREAT to draw attention to books!! This one is a favorite of mine because I’m a serious bookworm, and trying to encourage bookworminess in my children. 🙂 Usually it’s packed with library books which are a combination of books I chose and books they chose. Most prevalent are nonfiction picture books, since I am absolutely obsessed with high quality nonfiction picture books right now! We really enjoy reading these because they usually have great artwork and are short and easily read in 1 or 2 sittings. But I also try to find historical fiction and anthologies of shorter stories on related topics where possible. There’s also often some of those great encyclopedia type books like Usborne and DK are so known for. In addition to library books, this station allows me to also dig through our own shelves to find relevant reads whenever I can. Dust off those long forgotten titles that I bought at book sales long ago and never got around to reading! 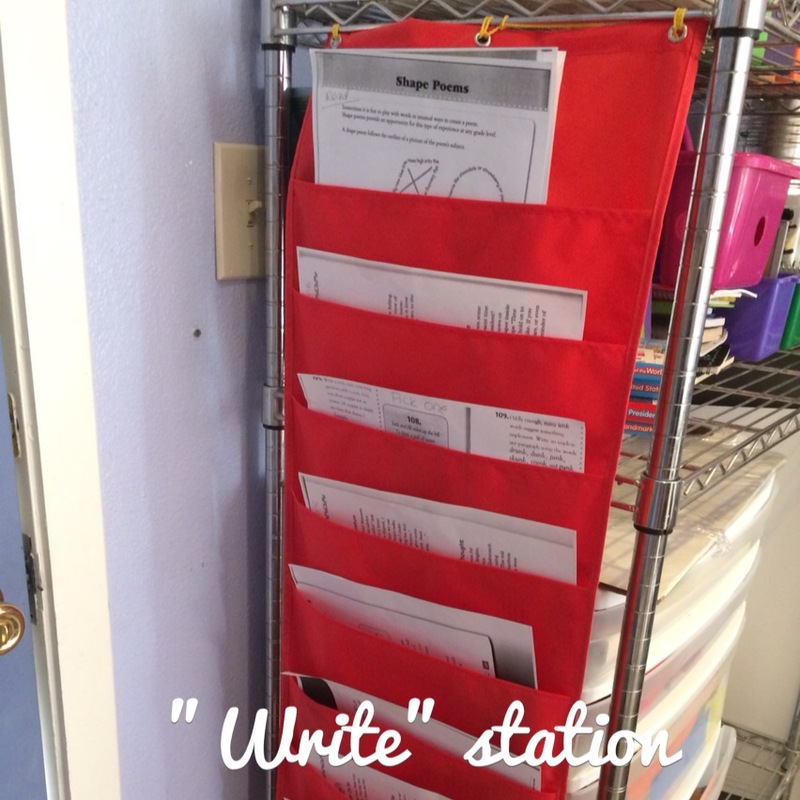 The “Write” station is a hanging pocket thing that I’ve had for years and only just finally found a use for! Got it at a teacher supply store. I find ideas on Pinterest and from writing prompt books and print up/copy pages and insert into the pockets. 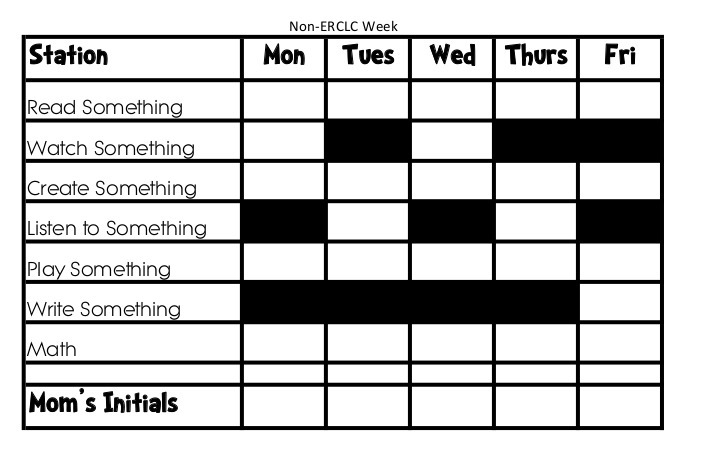 They only have a formal writing assignment on Fridays, and the choices are many, as you can see. Each copied page probably has about 4-5 ideas on it. They only need pick one. 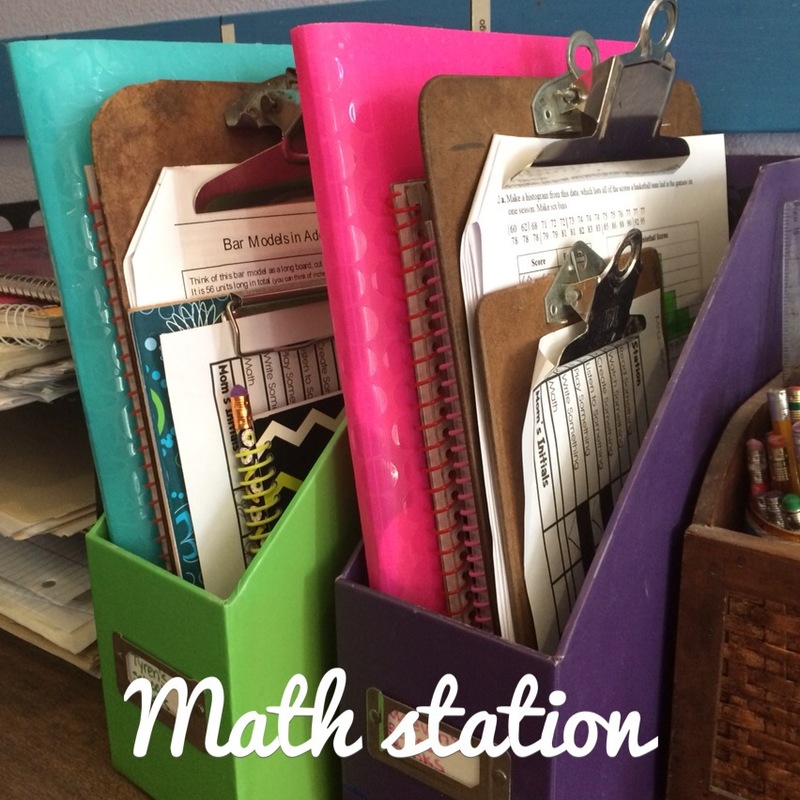 The Math station is just their clipboard with their Math Mammoth worktext packet for the week. I keep these in wooden magazine boxes on our art table. The kids know to go and grab their clipboards when they are ready to get math done. 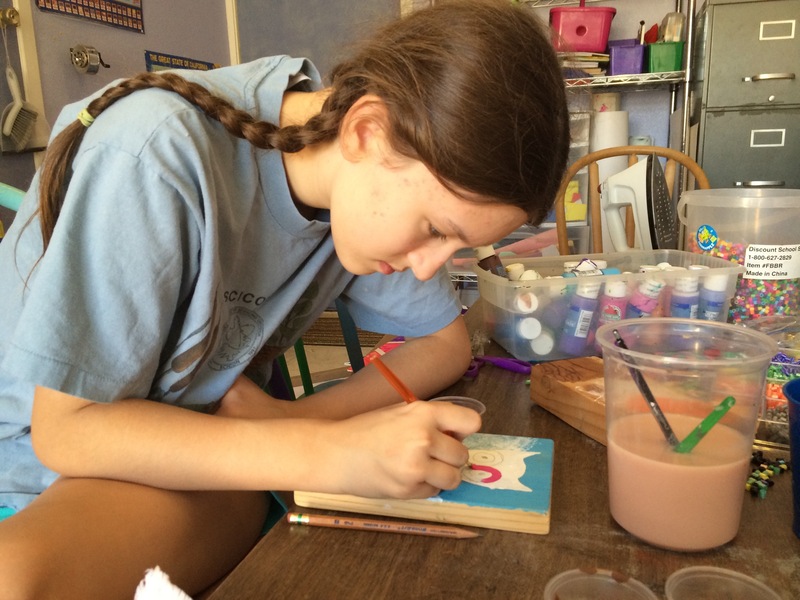 I also keep their notebooks that serve as their journals in here, (for journaling about the assignments and activities they did for the day…getting them more used to writing regularly,) as well as their clipboards with their checklists and various other notebooks and folders. Math is just one page (front and back) per day. So that’s the gist of how our new system works! So far the kids and I are really enjoying it! 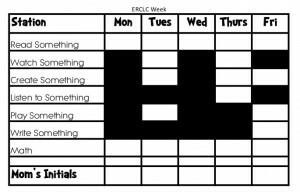 It doesn’t take a lot of work on my part to get things set up every day, just occasional rebooting of activity areas…I do prep work every other weekend or so. I prepare a chunk of stuff at once, so that I don’t have to do a lot of prep work weekly. It works quite well! I’ll detail my prep work and planning process in more detail in the next post, this one got super long! 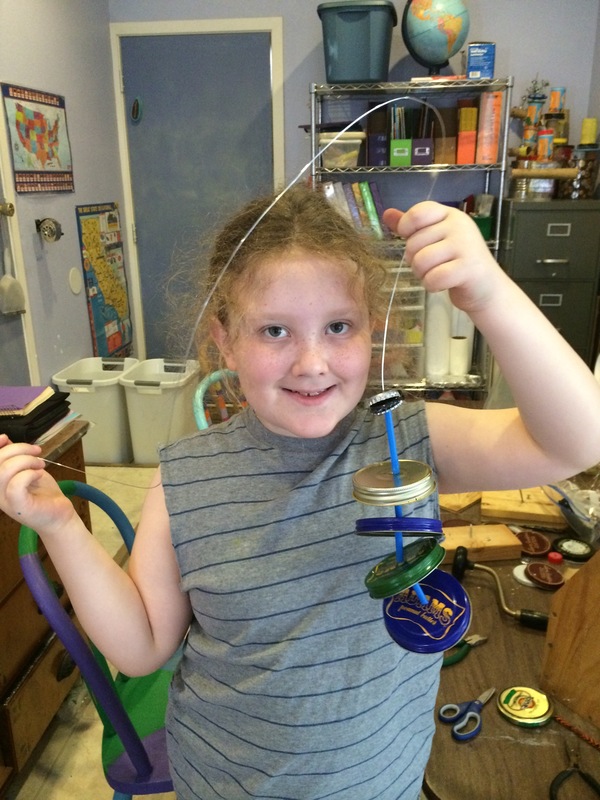 In addition to what we do at home, we also have enrichment classes we take weekly and field trips and play dates too, of course! Love this! I Often feel like you’re talking about me when you explain yourself and your struggles with curricula on the Savvy Moms podcast. I can’t wait to read your planning post! I didn’t see it in here (although, it’s midnight and I’m tired, so may have missed it lol), but how long do you stay on the main subject usually? I feel like I don’t spend enough time on a subject. I loooove this idea! We tend to follow our interests. If we feel like sticking with a subject, we stick with. It’s pretty easy to tell when it’s time to move along, when we all have just grown weary of a subject. I don’t have a set amount of time, though, so I don’t know how much this helps, sorry. Plug and play? You mean having it all in one place? 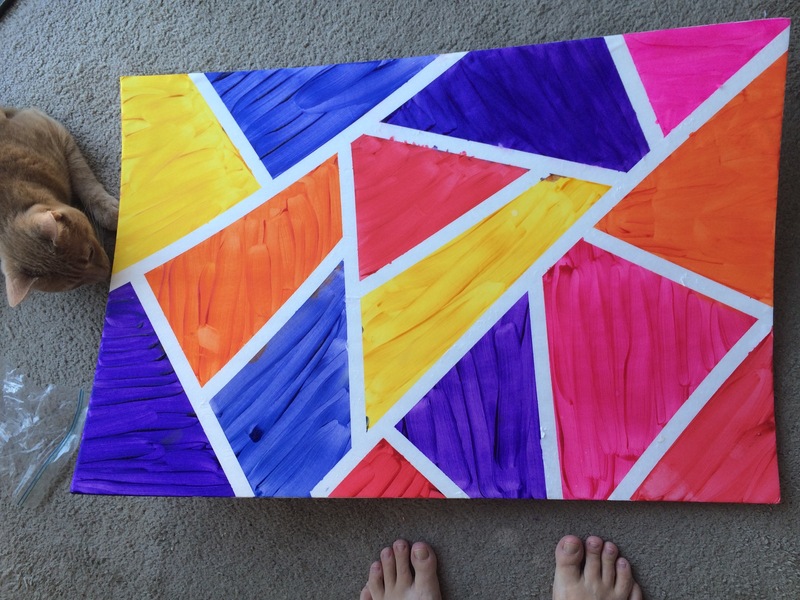 I’m going to add it to the free printables sections right now. I love this idea! 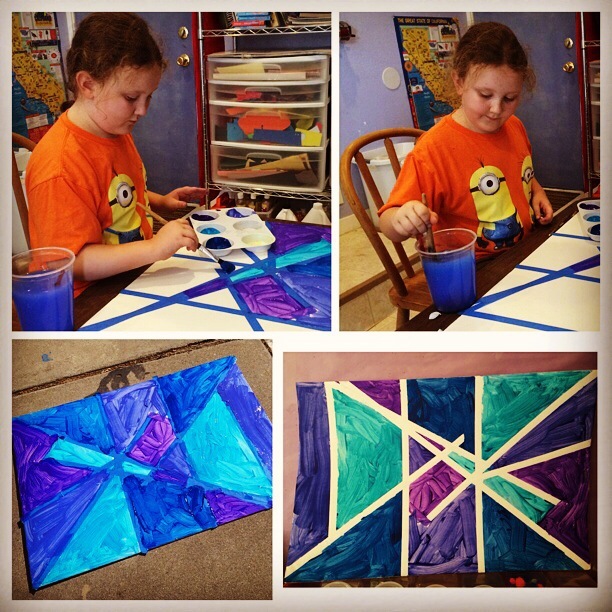 My daughter offically starts homeschool next year, kindergarten, and I can’t wait to incorporate some of these ideas! You have created and put on paper what I have been thinking of but didn’t have an organized way of doing for my kids!!! Thank you! I love the sound of this system. 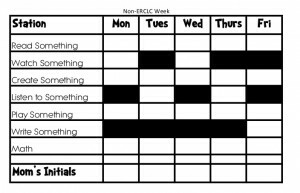 I am always struggling with adding more “structure” into our schooling but get fed up and frustrated after a month or so when life keeps interrupting out tidy schedule. This seems like a much easier way to approach our school days. We also start our day with games, lately it has been chess. 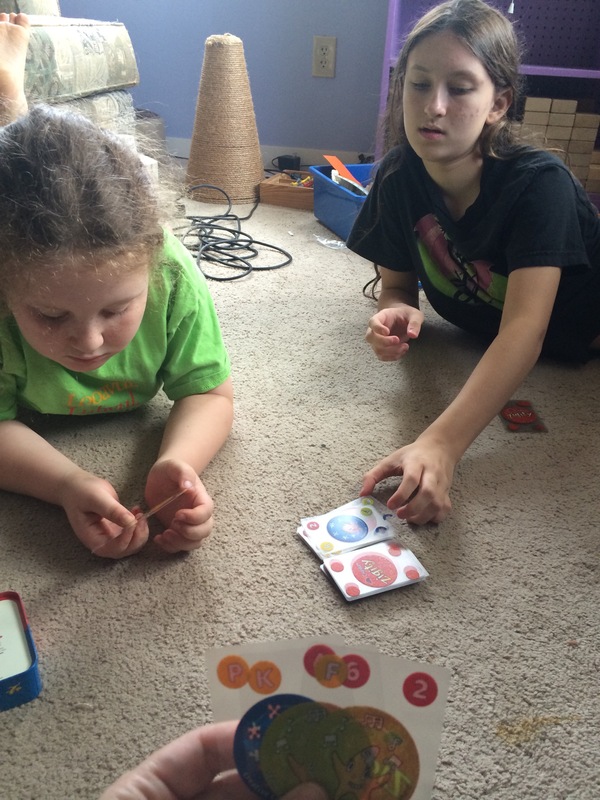 My husband bought “No Stress Chess” for me and our daughter (she is 9) and we love it. Off to investigate some of the links in your post. Thanks for sharing this info! This is the best idea I’ve heard in a LONG time and seems actually doable for me/us! Thank you for sharing this! 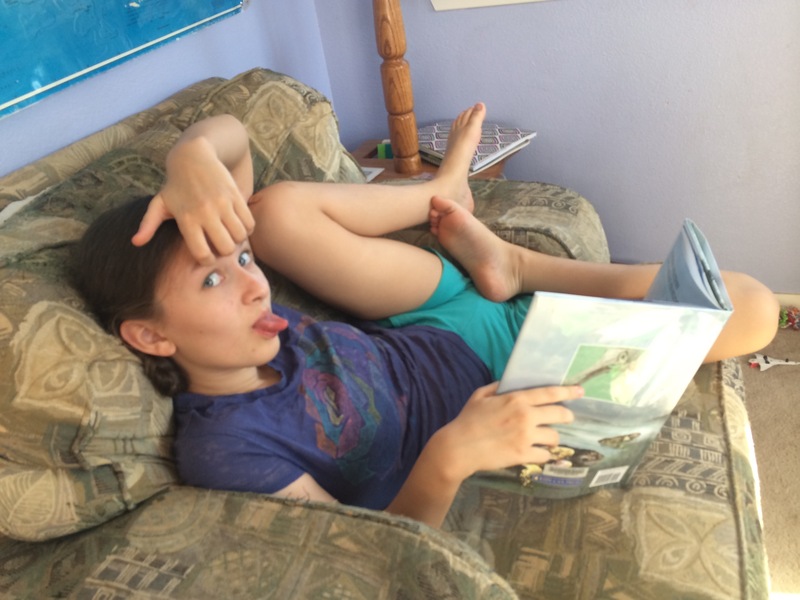 We are relaxed homeschoolers and mainly learn through real life/following our interests and read alouds, with math thrown in..and I always struggled with the idea of ‘following a cirriculum’..so experience-based learning just makes sense and sounds so fun and REAL! Thanks for a great idea, I want to try this..